Former Sheriff Chris Blair on Thursday was appointed to the one mill ad valorem tax oversight committee, or Independent Citizens Referendum Oversight Committee, by the Marion County School Board. Blair will be one of 15 members. ICROC functions as an advisory body to the School Board, advising the School Board on whether the proceeds of the additional one mill ad valorem tax are being utilized for the purposes approved by the voters of Marion County in the referendum. Marion County citizens voted for the one mill tax referendum in August, but it was originally passed in 2014. It was renewed with more than 70 percent of the vote. The referendum must be used for necessary operating expenses, including art, music, physical education, library/media, reading, and vocational programs; meeting class size requirements; and retaining State Certified teachers and paraprofessionals. The referendum brings in approximately 19 million annually. The ICROC committee and its members do not have access to use of the funds themselves, which are controlled by the School District through the Chief Financial Officer, Theresa Boston-Ellis. Blair was recommended for the position by board member Angelia Boynton. Boynton told Ocala Post that, of the candidates she invited to sit on the Committee, Blair was the only person who replied. Blair was appointed on September 5, 2018. Boynton said she was hoping to increase the diversity of the committee by appointing a minority to fill the position but had no luck. 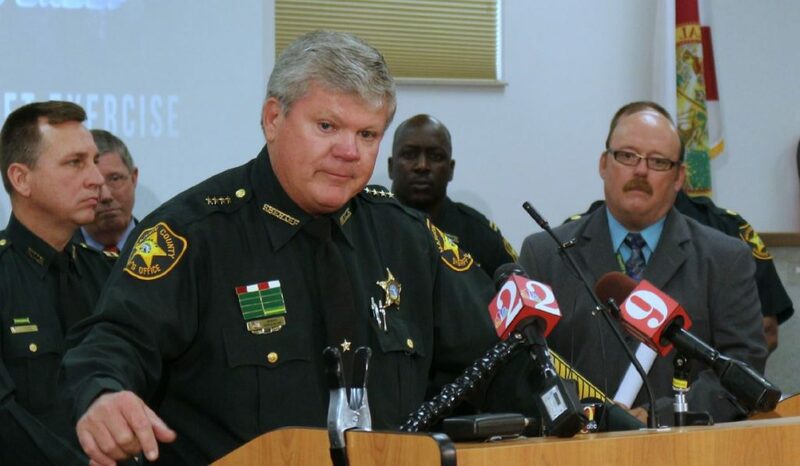 “As a former Sheriff and Deputy, [Blair] could read and understand our School Board Referendum Budget, staffing, payroll, accounting, personnel, loss prevention, controlling expenses, and payroll budgets,” said Boynton. Blair will serve as a Volunteer ICROC member.